Taxis in Tooting have the best customer care for any of its Cabs. Tooting is a district of South London, England located 8 Kilometers to the South west of Charing-Cross. Totterdown field’s estate after being declared as a conservation area has around 1244 individual houses. Our taxi service can be called by visiting our website or by dialing our toll free number (020 8672 7272). Our Minicab has a capacity of two passengers with luggage. An extra provision of baby seats can be given on client’s request. Our cabs are comfortable cars with a handy provision of a GPS facility that helps our clients to reach their destinations in due time and it also cuts on the extra distance covered. When travelling from the United Kingdom Airport for Pleasure or for Business, it is sensible to arrive at the Airport in a punctual manner or before time. If you know what to expect, the journey becomes stress free and hassle free. Packing should be of only essential items in your hand carry, and if you want to carry liquids, then they should be in small containers of 100 ml and should be in a small reseal able bag. And arriving ahead of time will give you the opportunity to settle down and have a peaceful journey from the terminal. 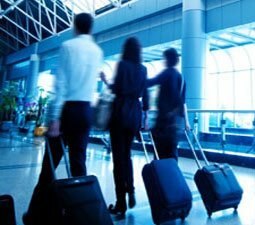 Our Minicab services are considered a supreme service for any leisure trip, business trip or Airport service terminal pick and drop. Tooting cab drivers are polite and courteous and possess a pleasant personality. Our Cabs are designed in such a way that they enhance the clients’ experience of travelling. A Mini cab is a delight to travel in. They are smaller than the usual full sized cabs of Tooting but lighter on the road. 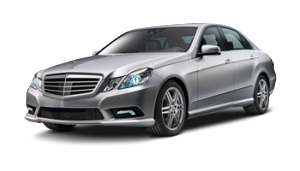 Tooting Airport Transfers service is a delight and runs smoothly from pickup to dropping off. Our cab services price is not only cheap, but in fact they are the cheapest and when it comes to Tooting mini cab fare they are lower as compared to our competitors, in fact they are the lowest. Taxis in Tooting have a high diversity in Number of cabs present for hiring. Our Taxi has the best innovative GPS system in place. Our cabs can be hired by calling our toll free number or contacting our service center. Our Cab have the lowest charges. Our Airport transfers are not only cheap. But this gets the cheapest when it comes to returning clients. Our fare is not only lower, but the lowest as compared to our competitors. We cover the major Airports in London. Our fare is not only lower, but the lowest as compared to our competitors. Our Taxis have a dedicated GPS system which helps us in better maneuvering the cabs in rougher terrains. Our Cars can easily be called whenever a need arises by dialing our toll free number or by visiting our website. Our cab has the best possible staff, which is polite and courteous. Our Cabs especially the executive ones have a capacity of around four passengers and luggage. 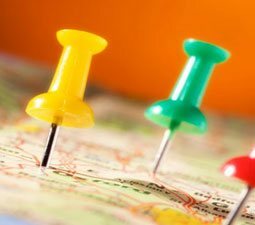 We are near you and we are your local cab office. The local Mini cab office helps you plan a journey and takes you through in an amiable manner to your destination. We also provide real time cab booking with confirmation. Our most popular Desi restaurant is Dosa and Chutny and our scenic spots and leisure centers include The Tooting tower and Tooting leisure center respectively. Pubs and bars are the most famous attraction of Tooting. There are many pubs and bars, but a couple of them are worth mentioning. One of them is The Manor Bar and Grill and the other is Tooting Tram and Social. In our meet and greet service we specialize for the last 30 years. Our post code is SW17. Our railway station opened in 1894 as Tooting Junction replacing another placed few hundred yards west. The most popular school in Tooting is The Tooting primary school. And the colleges include The South Thames College. Cabs in Tooting are a great source of income generation for our community and area. Our Minicabs also have a dedicated GPS system which is considered one of the best in town. Tooting Minicabs are safe with airbag support, blind spot mirrors and other safety equipment that is necessary for travel on the roads. Our cabs have established their service quality and name through repeated delivery of promise. We base our hard earned credit on customer reviews and good word of mouth from satisfied clients. Tooting has been functional since pre-Saxon times. Having a name of Anglo Saxon origin but having a meaning which is disputed. It may mean the people of Tota or it could have been derived from the old verb to tout. Tooting Broadway Cab service provides its assistance to the Broadway which is an Underground London station in Tooting located in South London. The Station is on the northern line, between Colliers wood station and Tooting Bec and is in Travelcard Zone 3. It is located on the corner of Mitcham Road and Tooting High Street. Minicab service in Tooting is a great source of convenience for visitors from farfetched areas and locals alike. 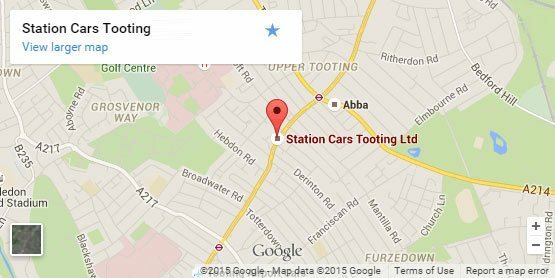 Taxi service in Tooting is a safe way to travel to and from different locations. Our Cab is prominent for its safety and reliability. Our cabs are a safe way to travel just because Minicabs service in Tooting provides state of the art, well-kept cars with drivers possessing a pleasant personality. Minicab in Tooting use GPS system for terrain mapping and the shortest routes are chosen for client’s convenience. In Tooting Airports Transfers we use the same methods from terminal pick and drop. Our price is not only nominal and cheap, but it is the most nominal and the cheapest as compared to our rival Taxis. Choosing our Minicab service is just because of our fares. They are not only lower, but the lowest. Tooting Bec cab service has the best possible staff. Tooting Bec is a location in South London named after Bec Abbey in Normandy. It sits on Stane Street. Tooting Bec Taxi services price is not only cheap, but in fact they are the cheapest. When it comes to minicab fare they are lower as compared to our competitors, infact they are the lowest. Our taxis in Bec are considered a supreme service for any leisure trip, business trip or Airport service terminal pick and drop. Taxis in Tooting Bec can easily be hired by calling our service at our toll free number. Tooting Bec Cab drivers are polite and courteous and possess a pleasant personality. 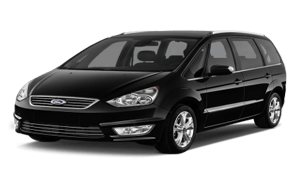 Cabs in Tooting Bec are designed in such a way that they enhance the clients’ experience of travelling, we also have Tooting Bec Minicabs that are good for carrying two passengers. Minicab in Tooting Bec is a delight to travel in. They are smaller than the usual full sized cabs, but lighter on the road. Tooting Bec Airports Transfers service is a delight and runs smoothly from pickup to dropping off. Tooting Junction was a Railway station in Tooting South London, On Merton branch of Tooting. It also served as one line from central London to another area. Cabs in Tooting are the best cabs in town. Our dedicated GPS system helps us in better maneuverability of the cabs in difficult terrains. Our cab drivers are pleasant and courteous and our cabs are fit for the roads. Taxi service in Tooting Junction has increased its fleet size for a better service delivery for its Clients in the greater London area. Our cabs especially the executive ones have a capacity of 4 passengers and luggage. Our Minicab is better for shorter trips. Station Cars Tooting taxis an esteemed Company private hire locally cabs in Wandsworth SW17 for last 20years. 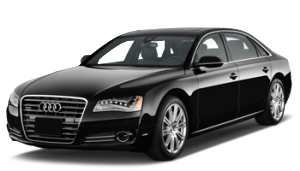 We cater best luxury mini cabs in Tooting Bec | Broadway and Junction with faster airports transfers and nearest areas. We are licensed minicab operator at 24 hours 7 days a week with 365 in the whole year. Our company drivers are so specialized that will assist you with luggage also in their minicabs car hire throughout the different destinations. Our well trained staff will be there to assist you and skilled enough to dispatch the right cab for you. We are able to cater the right service for you. So, wherever you want to go or when you want our service? We are here at your door on time. Drivers will pick you in a few minutes safe and fast with the lowest fares. Can contact us by Via-email or online taxi booking form to contact us page. You can pay cash directly at our office or online we also accept all major credit cards. We are in South London, Tooting, SW17 Wandsworth and all borough areas covered by our transport, taxis and minicabs service for Balham | Earsfield | Putney | Southfield | Mitcham | Clapham | Streatham | Tooting Bec and Broadway with Tooting Junction etc all London. Taking to meetings, collecting business clients – whatever business reason you might have for needing a cabs taxi. 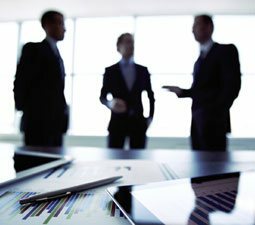 Our Exclusively business contracts available with corporate business account service make life easier for a company's staff by our company. 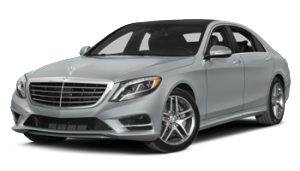 For high quality Executive cars mini cab services, Look no further than the Station Cars most trusted provider of high class luxury Journey by our vehicles. Individual and corporate customers, that each passenger requires their own unique service. Whether your flight is early or delayed. Driver will meet and greet you before 30 minutes landing. Comfortable journey to your destination with us from Heathrow | Gatwick | Luton | Stansted | London city also different area's of London. Most popular and suitable option for most day to day transport needs. 4 passengers, one large and two small cases, this vehicle are used for private hire taxi cab. The Estate cars up to four passengers and offer suitable space for more luggage. Perfect choice for passengers with a huge space for luggage and bulky items. The MPV vehicle can carry up to six passengers and offer a large space for luggage easily. This is the perfect solution for small groups or when carrying large items. VIP Cars available for those special occasions high standard services by our Station Cars. We have different types of Executive cars up to 2 luggage with 2-3 passengers. You can find our services and new update by mail. "You can connect with follow us by Links"